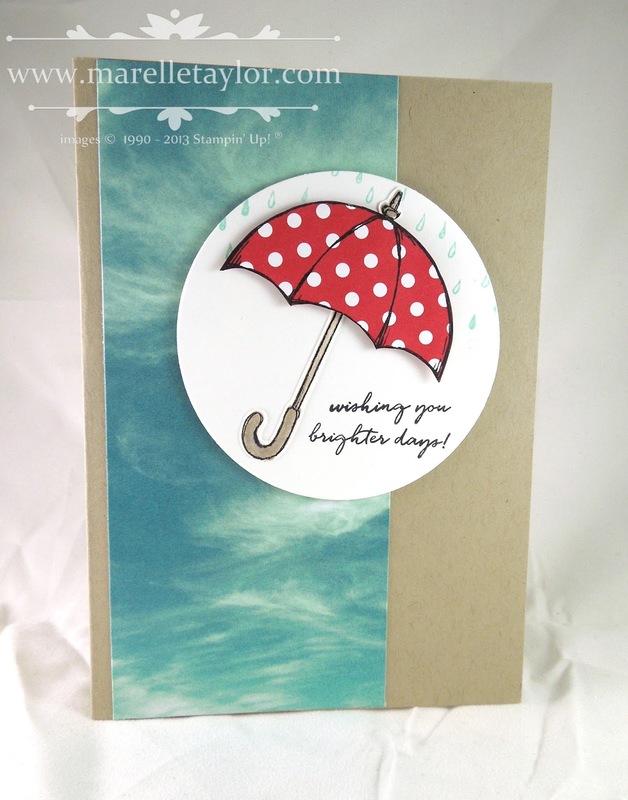 There's nothing like a red polka dot umbrella to chase the blues away! I've used the adorable Weather Together stamp set and framelits to make this card. The Serene Scenery Designer Series Paper was perfect for my stormy skies. Sometimes I find it hard to choose a colour for my base card...Crumb Cake is always my go-to "goes with anything" colour, for those times when I can't decide!